This is an advanced and innovative quarter; a modern aura covers its alleys, this is a living and breathing center. At the heart of this urban and lively happening, lies an island of tranquility and culture. The mountain air penetrates among the quarter's buildings, flows in the foliage of the trees and opens the heart and soul. "Mishkenot Ha'uma” has a pronounced architectural beauty. Architect Sami Tito created a special color for the emerging quarter, a pearl of design and esthetics drawing elements from the unique Jerusalem style and influenced by European building characterizations. The contemporary design of the apartments is the fruit of the most creative contemporary designers working and influencing the field. 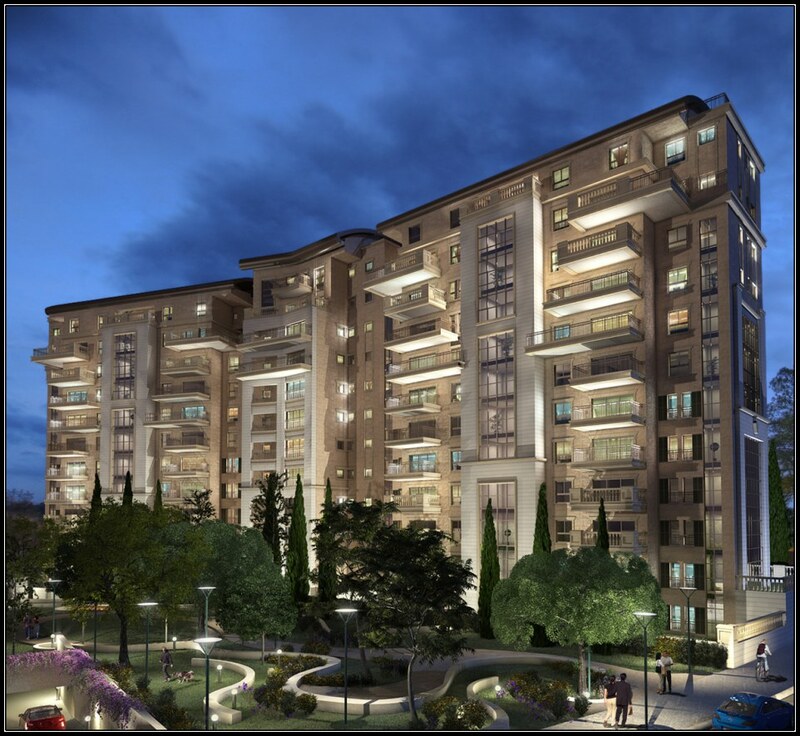 The variety of apartments in the complex ranges from spacious luxury apartments with a novel pedant design to two rooms apartments impressive in their size. All apartments are equipped with state of the art spoiling accessories according to international building standards with the utmost functionality level. An elegant lively, Parisian-style shopping avenue, adorned in green, is located in the heart of the complex and houses a selection of boutique shops. Quality galleries and coffee shops bring the flavors of the modern world to the doorstep of the prestigious quarter. There is no more need to leave the oldest city in the world in order to connect to the life beat of the 21 st century. A pastoral picture is visible from the windows. The Jerusalem panorama, typical of the charmed city surrounds the complex and is lies at its doorstep. The Mishkenot Ha'uma neighborhood that is encompassed by a rare mixture of symbols and implications, provides it inhabitants a unique experience of quality and culture of life, and is presented to Jerusalem like a precious piece of jewelry.